Light at the end of the tunnel or the tunnel of light at the end. Nokia is near the point where it couldn't care less - as long as the dark days are finally over for a company, which used to drive an entire industry forward. 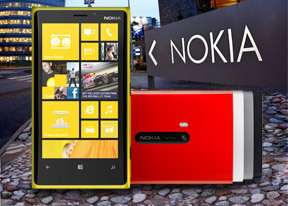 Nokia must hardly be enjoying life after Symbian and it shows. The fact is that the Finns have nothing but Ashas and the most basic of S30 phones between the last Windows Phone flagship and the next. The PureView 808 was a flash of brilliance - like the N9 before it - but just that. And a dwindling army of fans still holds on to the memory of a Nokia that was as prolific as it was talented. Not the best of times then for the Finns, but the right time for a flagship to show its worth. Saying that the future of the company is being decided here is probably too much. 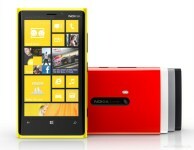 But the Lumia 920 could be the difference between living with dignity and scratching a living on emerging markets. The holiday season and the first months of 2013 are a make or break time for Nokia, and if those early reports of the phone being sold-out are anything to go by, the Lumia 920 already managed to get a few victories under its belt. It’s going to be a long campaign though and we're yet to see if the new flagship has what it takes to help Nokia get back where they want to be. Nokia may have made all kinds of mistakes in the past couple of years, but the innovation well hasn't obviously dried up. 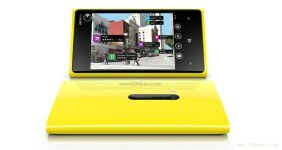 The Lumia 920 features a lot of firsts for both company and industry, the most impressive of which are the optical image stabilization and the PureMotionHD+ display. Wireless charging is more than welcome too though, technically, Palm beat the Finns to it. A touchscreen that can be operated with gloves sounds exciting enough, but Nokia claims there's more to the new Lumia screen. There are promises of excellent brightness and outdoor visibility, as well as increased responsiveness and smoother scrolling. The chipset might not be a benchmark blaster, but WP devices have consistently demonstrated they need a lot less horsepower to give a smooth ride through the UI. Of course, heavier apps may tend to load a bit slower, but we shouldn't be expecting lags or stutter. But let's cut the speculation and get down to actual testing. The unboxing and hardware inspection are up next. It's very powerful device and upgradeable to WP 10! with the insider app. Amazing mobile phone. I have used this phone for a long time but now using 930 but this 920 is a superb phone and good solid strong device. now available for cheap so grab one I would say, very good phone.